New England Booster Club Raffle Winner for April 19th is Lois Myran - Taylor - $100.00!! Good for you, Lois!! New England Booster Club Raffle Winners for April 12th are Darrell & Dorita Kuhn - Lefor - $100.00!! Congratulations, Kuhn's!! 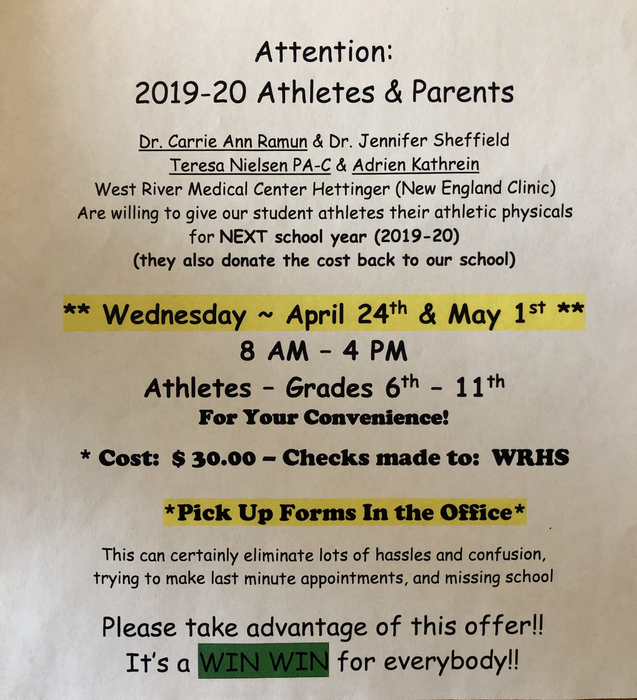 Sports physicals will be on April 24 and May 1. Please refer to the flyer for further details. Cancellations for Thursday, April 18: There is NO Junior High Track practice after school. There is NO 4-5-6 Volleyball practice after school. Quilt Raffle Tickets may be purchased tonight before the Athletic Banquet until 6:00 p.m. The drawing is going to be held tomorrow! Fourth, fifth, and sixth grade volleyball has been cancelled for Wednesday, April 17th and Thursday, April 18th. The freshmen class will be attending a career fair tomorrow, April 17. The bus leaves at 7:30 a.m. SHARP! It will be returning by 12:30 p.m. —in time for lunch. Thank you to our students and the parents who volunteered to speak with the Visitation Team from AdvancEd. We appreciate your time! The Quilt Raffle Drawing for the classroom library fundraiser will be held on Thursday, April 18. It's not too late to buy tickets! Tickets will be available at the volleyball game on Tuesday, prior to the athletic banquet on Wednesday, or anytime from Julie. School will dismiss today, April 12, at 12:16 pm today with buses leaving at 12:20 pm. There is NO afternoon session of preschool at 11:00 today! The varsity track meet for Friday has been canceled. There is no junior high track meet on Saturday. It’s that time of the year. 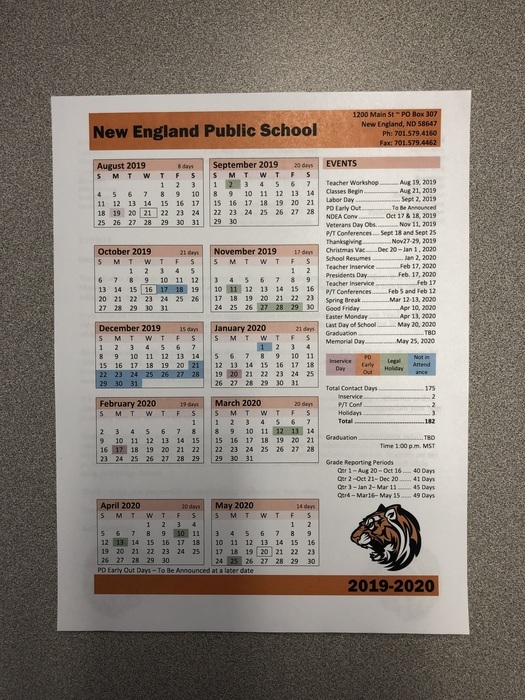 Our 2018-2019 New England Public yearbook is ready to order. If you need any more information, please contact Miss Mansfield. Check out this flyer for the upcoming Athletic Banquet! The fourth grade volleyball game has been cancelled. The fifth and sixth grade students will play at 4:00 and 4:30. The fourth graders will still be going but will play in the fifth grade game. 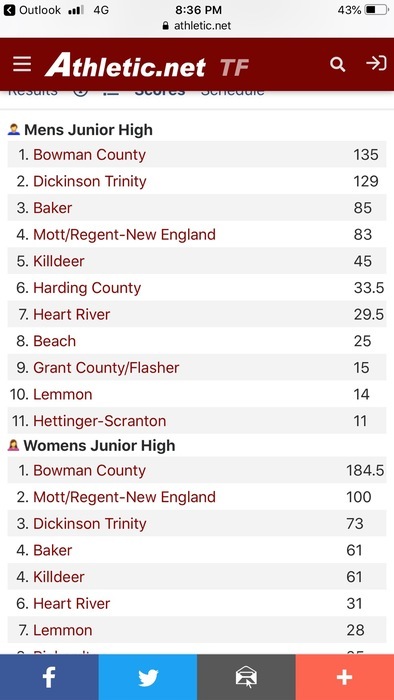 Here are the Junior High Track results from Monday, April 8th in Bowman. Good job teams! Please remember that buses will be dismissing at 12:15 p.m. on Friday, April 12, for a professional development day. The varsity track meet scheduled for tomorrow, Tuesday, April 9th in Bowman has been cancelled. The New England boys’ and girls’ basketball programs will be putting on a basketball camp May 28th, 29th, and 30th for students who will be entering the grades 3 through 12 this fall. This camp will feature two elite trainers who are coming to New England to help develop ball handling, finishing, passing, footwork, and shooting in our student-athletes. There will also be multiple coaches from both the girls’ and boys’ programs present as well. A brochure will be sent home with your child tomorrow containing a more detailed description of the camp along with links to watch which will better illustrate the camp. Students in 9th-12th grades are asked to pick up their own brochure located outside the coaches’ office. The Booster Club and coaches of the boys’ and girls’ basketball program would LOVE to see every student-athlete who is interested in basketball attend this camp! New England Booster Club Raffle Winner for April 5th is McKenna Monke - 3rd Grader at New England Public School - - $100.00!! Way to go, Miss McKenna!! Mr. Heupel would like to remind the choir to be at the school by 6:45 a.m. to catch the bus on time for the festival. Pack a lunch for the day! Wear black dress pants, black shoes, and a black dress top. SECOND NOTICE: Reminder to 7-11 Band Students, your 2nd payment for Seattle Band Tour 2020 was due March 19 in the amount of $188.78 per person. If you haven't yet done so, please remit payment to Mr. Heupel as quickly as possible. The Junior High Track Meet scheduled for Friday, April 5th at Lemmon, SD has been cancelled. New England Booster Club Raffle Winner for March 29th is Paul Huber - Dickinson - $100.00! Good for you, Paul!! 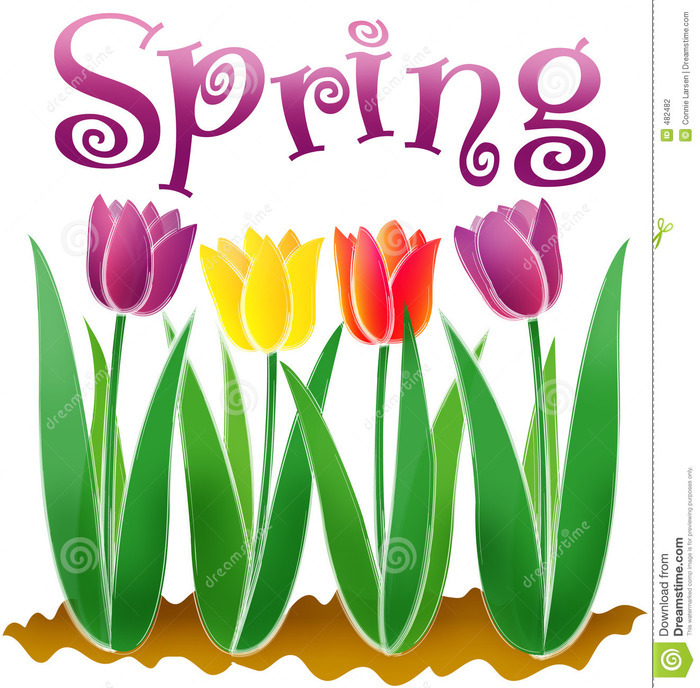 Just a reminder - - - Spring Sports Pictures tomorrow (Friday, March 29th)!! 7th - 12th Track and 4-5-6 Volleyball!! Order forms available in the office! Athletes, please remember your uniforms, order forms & money!! Track and 456 Volleyball pictures will be tomorrow, March 29. Forms were handed out to the elementary girls. Tracksters were encouraged to take them home after practice. Extra ones are available in Julie’s office. On Friday, April 12th, we will be dismissing early for professional development. We will have our morning classes, students will eat lunch and buses will run at 12:15 P.M. Our focus will be on School Improvement. Effective educators make effective decisions, decisions based on accurate information. If knowledge is power, then studying the current abilities, skills, attitudes, and learning styles of students empowers educators to adjust the curriculum to achieve whatever goals the school and district have chosen. Data-driven decision making has opened a new world of opportunities for schools and districts to provide professional educators, students, and parents access to large amounts of information. Today, schools can enable key decision makers with data and information to facilitate more informed decision-making, boost overall school performance and improve student achievement. Sorry for any inconvenience this may cause; however, the benefits will have tremendous impact for many years to come. Mr. Heupel is still hoping for three more chaperones to assist at District Choir on Thursday, April 4, in Richardton. Please call him if you have questions or are interested. 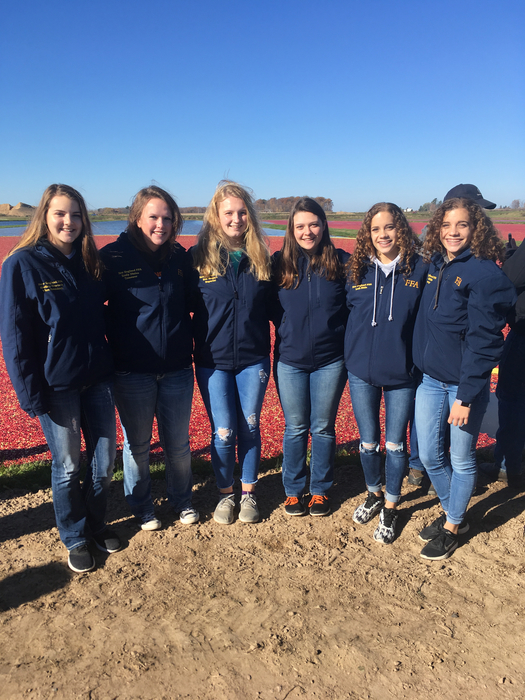 New England FFA is celebrating National FFA Week with a variety of activities. Join them in the fun! New England Booster Club Raffle Winner for March 22nd is Steve Anderson from Clarksville, TN - $100.00! Congratulations, Steve!! 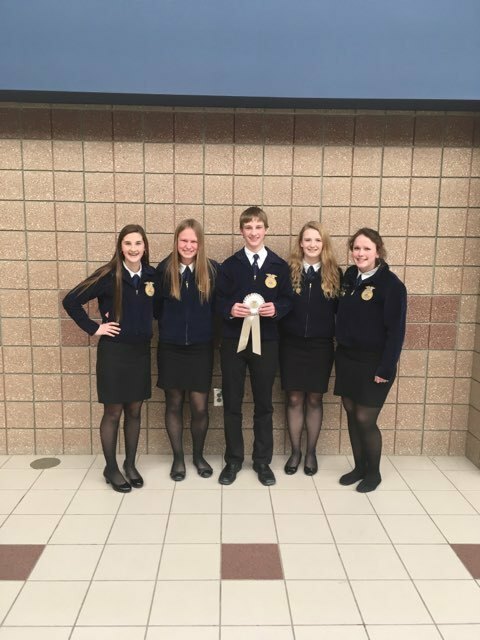 Congratulations to our FFA Ag Sales Team on their bronze team finish at state! 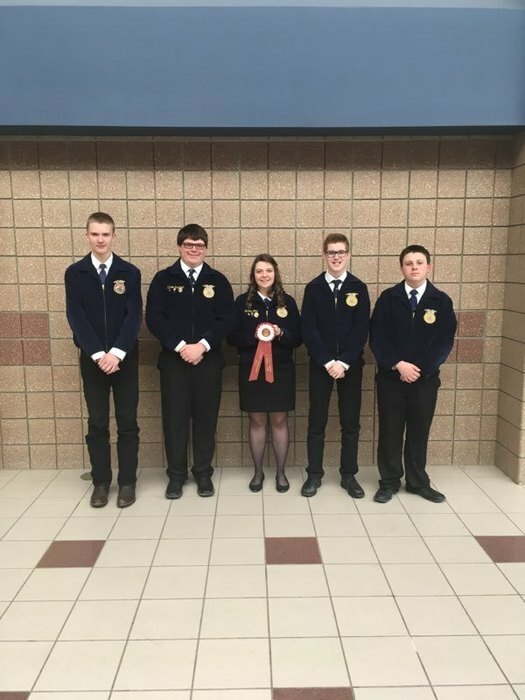 Congratulations to our FFA Agronomy Team on their silver team finish at state! Please join us for a hilarious dinner theater production by the New England Public School drama students this Saturday! Any students in grades 7-12 who are interested in joining the Golf Team should contact Mr. Daryl by this Friday, March 22. 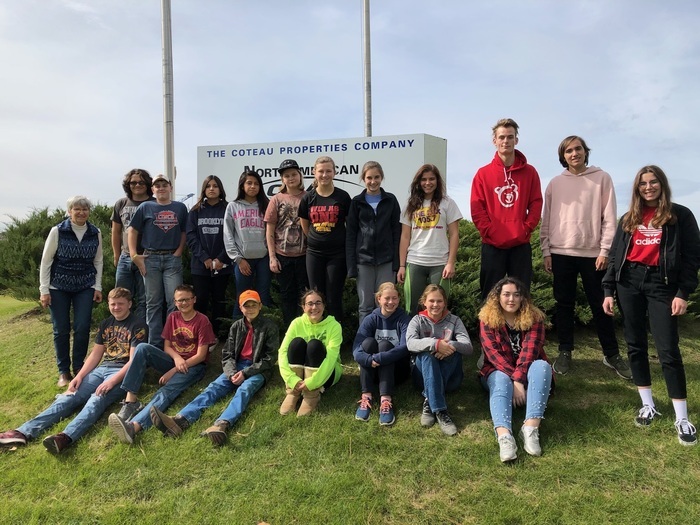 We co-op with Trinity in Dickinson. Practice starts on Monday, March 25. There is NO SCHOOL on Thursday and Friday due to Spring Break. All after school activities for Wednesday, March 13th, have been cancelled due to the incoming weather front. No students are allowed to stay after school tonight. Updated 2019-2020 school calendar. Graduation date has yet to be determined. 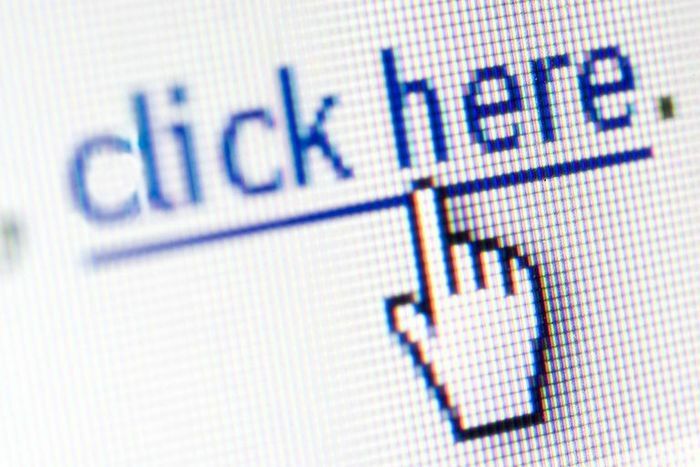 Dangerous, disturbing viral challenge targeting children on the internet. Please read. 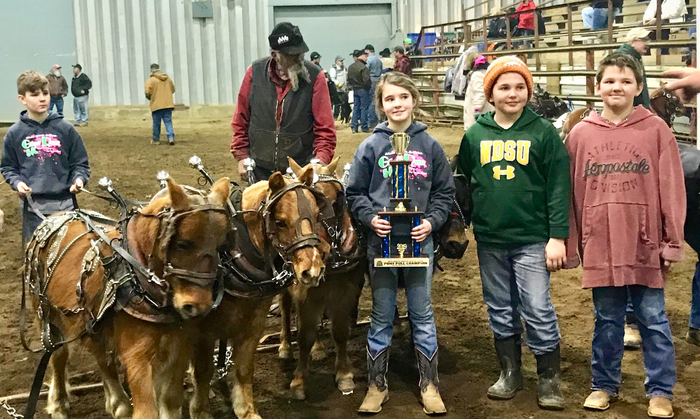 Our students were successful at the ND Winter Show Pony Pull competition in Valley City last week. Carly Wolf took home the state championship. Grady Bock placed 2nd. Ty Wolf won the teamster award and also took 4th place. Tucker Bock placed 5th. Reminder to all 4-5-6 volleyball players - - - practice beings on Monday, March 11th - bring your practice gear & don't forget your $50 uniform deposit!! ALL Band Students (7-12) - District Band Festival on Monday, March 11th! Be at school by 7:15 AM - the bus will leave school at 7:30 AM SHARP!! New England Booster Club Raffle Winner for March 15th is Sarah Schatz - Jamestown - $100!!! Congrats, Dr. Schatz!! (I was asked to draw next week's winner because of Spring Break next week/no school). 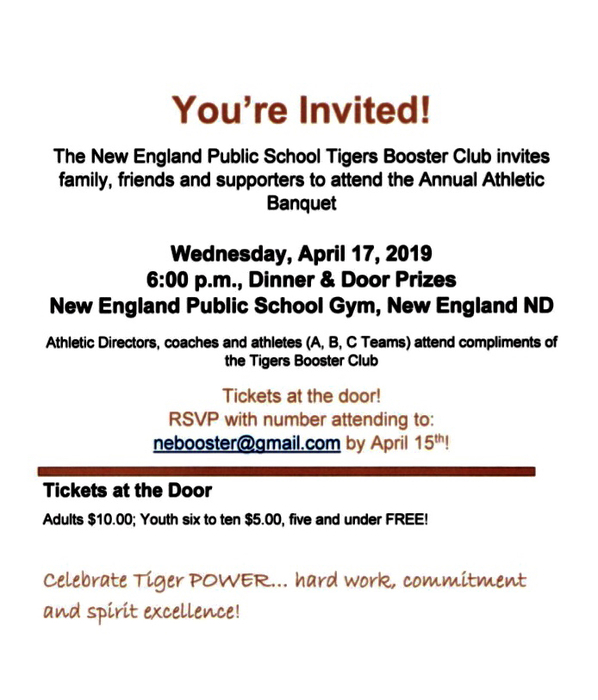 New England Booster Club Raffle WInner for March 8th is Tim Oberlander - New England - $100! Way to go Tim!! The Ag Sales and Agronomy contest on Saturday, March 9, has been cancelled due to the weather. The Sweetheart-Snowball scheduled for this evening, March 8, has been postponed due to the weather. Reminder to 7-11 Band Students, your second payment for Seattle Band Tour 2020 is due March 19 in the amount of $188.78 per person. Thank you. 4-5-6 Grade Students are sponsoring a 'Bake Sale' during the lunch hour Thursday & Friday (March 7th & 8th) - a Fundraiser for Zane Sabo. All items will be $1.00. Anyone is welcome to donate Bake Sale items. Please have the items individually wrapped. Contact Mr. Flaherty to be put on the list of volunteer bakers. School buses will run where possible Tuesday morning. Please be in contact with your driver and office dispatch if you feel there will be a problem with student pick-up. If the photographer is able to make it tomorrow, it’s SPRING PICTURE DAY (Tuesday, March 5). 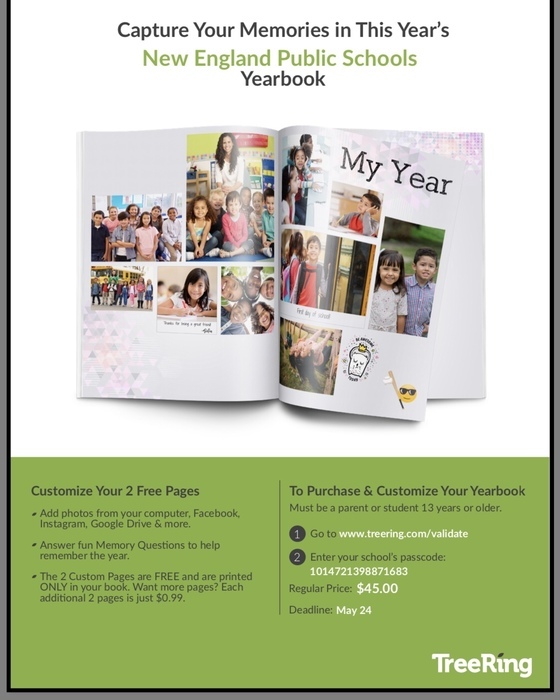 Order online at mylifetouch.com and use Picture Day ID: ND118037Y0 or send in your order form with your child. 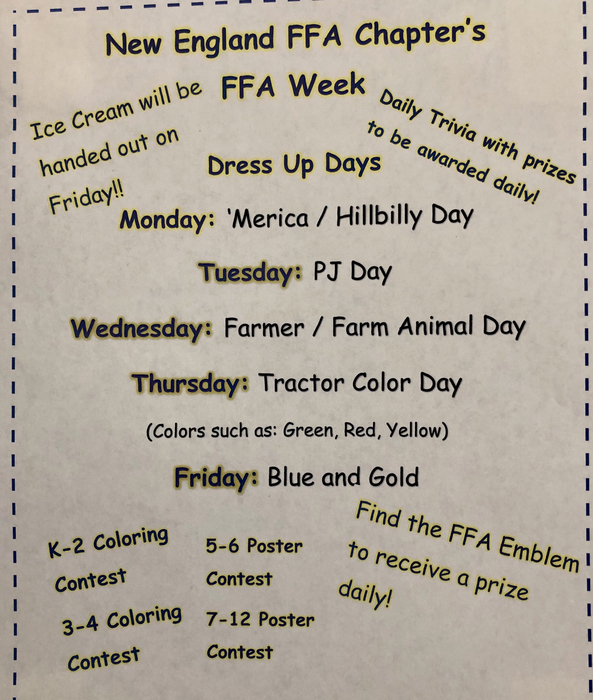 Order forms were handed out to ALL students last week. School has been cancelled. There will be no school today, Monday, March 4, 2019. School will start at 10:20 a.m. Monday, March 4th. No breakfast will be served, and there will be no morning preschool session. All buses will run where possible. Please inform office dispatch if you feel the bus will not be able to make it in your yard. Monday morning play practice (3-4-19) has been cancelled due to uncertain weather and drifted roads. Be safe! The Frog Prince will be performed today by many of our students as a part of Missoula Children's Theater. Join them at Memorial Hall for either showing at 3:00 p.m. and 5:30 p.m. today, Saturday, March 2. The New England Booster Club Raffle Winner for March 1st is Todd Fitterer - New England - $100.00!! Congrats, Todd!! Join us in wishing Mr. Daryl Jung a Happy 70th Birthday by wearing black tomorrow, March 1st! Wednesday, February 27 is Woodwind/Brass Day at DSU. The students involved should be at school by no later than 7:50 a.m. since the bus will be leaving at 8:00 a.m. The students will return in time for the afternoon bus routes. Children’s Advocacy Centers of North Dakota will be addressing our students in grades kindergarten through twelve next Wednesday, March 6, 2019. Age appropriate topics regarding using the internet, teen relationships, violence in media, child abuse, protecting themselves, and talking to trusted adults will be presented. Safe Environments Training offers students information and skills to keep themselves safe. If you have any questions, please call Mrs. Fitterer. “Fight with Zane” t-shirts are available online to assist with Zane Sabo’s medical expenses. You can purchase them at the following site: www.customink.com/fundraising/fightwithzane Thank you for your support! New England Park Board is looking for summer help: lifeguards, WSI instructors, office staff, and baseball coaches. Please contact Todd at 701-290-7508 or Julie at 701-290-4386 if interested. Required lifeguard classes begin March 8-10 so call ASAP! 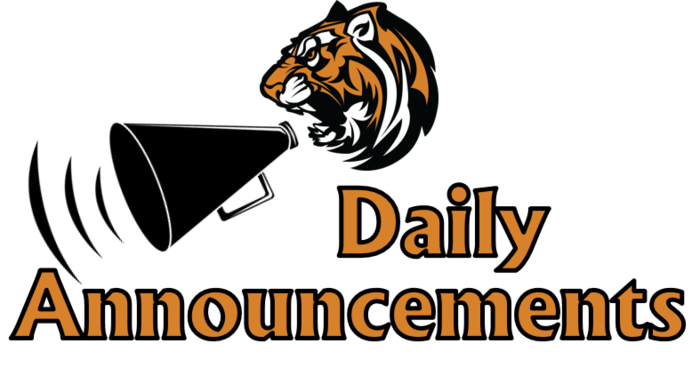 Tomorrow is Orange & Black Day to support our boys’ basketball team who will be challenging the buccaneers in Beach at 6:00 p.m. GO TIGERS! Monday, February 24, will be a Wear Blue for Zane Day. Zane Sabo, one of our sophomores, was injured in Friday’s basketball game. Luckily this injury lead to the discovery of a Arteriovenois Malformation, which is a tangle of abnormal blood vessels, arteries, and veins in the brain. This diagnosis will require further treatment. He is currently in Minneapolis at the Children’s Hospital of Minnesota. The Honor Society will be accepting donations at school to defer his medical treatment. 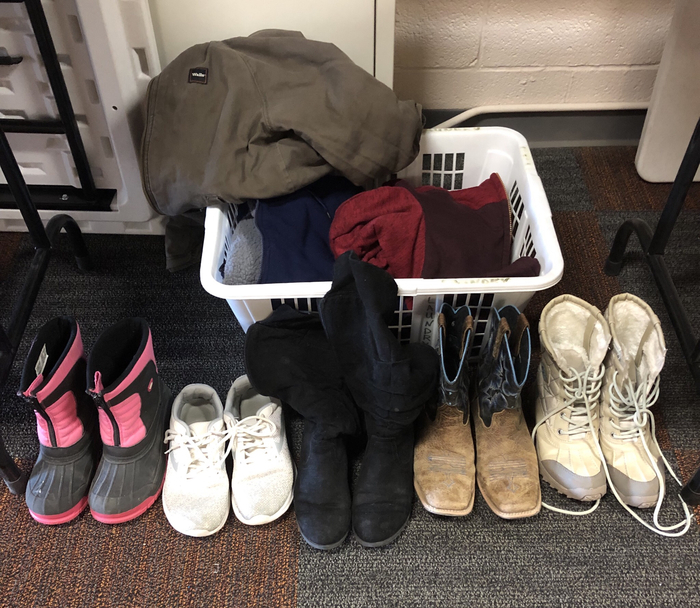 Staff may wear jeans on Monday for a donation to that fund. Join us in wearing blue to support Zane! New England Booster Club Raffle Winner for February 22nd is Kristi Madler - New England - $100.00!!! WAY TO GO, MISS KRISTI!!! Let’s support the GBB team in their final game of the season as they play for third place in the regional tournament tomorrow at 5:00 p.m. in Dickinson. Wear orange and black. Go, Tigers! 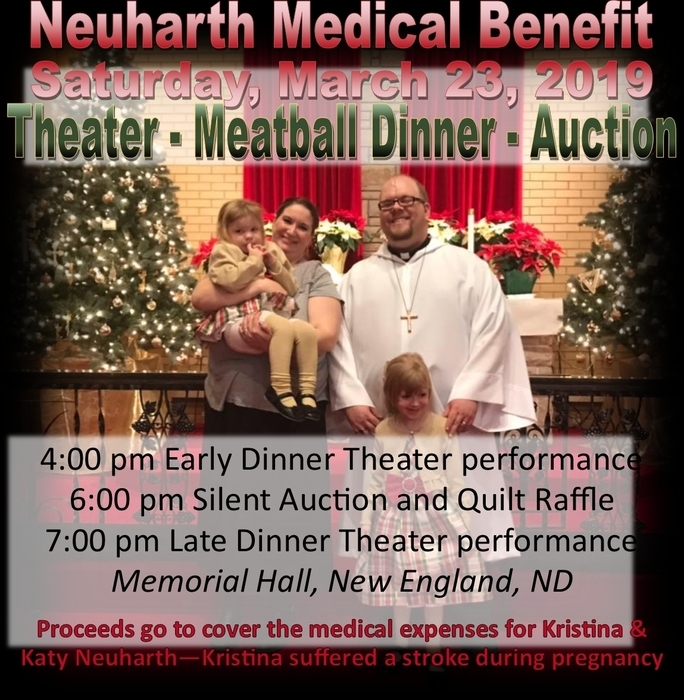 Staff may wear jeans by making a contribution to the Kristina Neuharth medical fund. Please pay Julie. 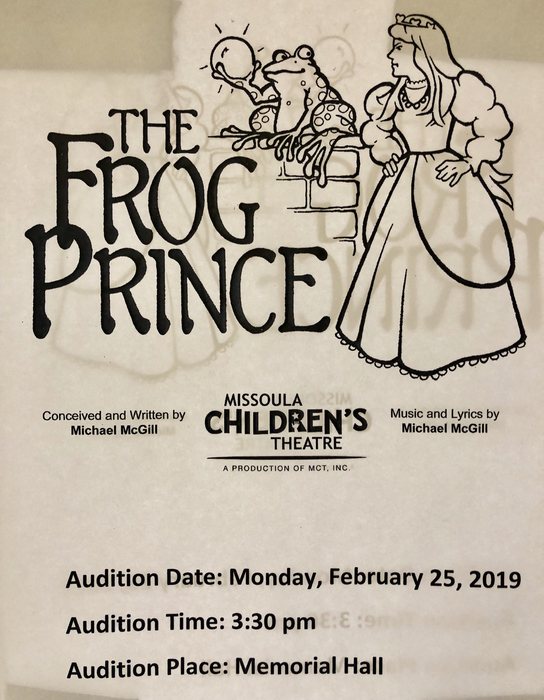 Missoula Children’s Theater auditions are opening on Monday, February 25th at 3:30 p.m. at Memorial Hall for students in Kindergarten through 8th grade. Permission slips went home with the elementary. Junior high may pick up their permission slips outside of Mr. Daryl Jung’s office. Tomorrow is Orange & Black Day in support of our girls as they face Hettinger-Scranton in Game #9 of the regional tournament. We will have a pep rally at 2:45 p.m. The New England Booster Club Raffle Winner for February 15th is......Lori Fitterer - New England - $100! Way to go, Lori!!! Jump rope for heart fundraising packets are due tomorrow, February 15. Please turn everything into Mrs. Ryder. The AB BBB games in Bowman will begin at 1:00 p.m. on Saturday, February 16. The varsity GBB will play approximately at 3:00 p.m. on Monday, February 18, in the Regional Tourney. Remember! There is NO SCHOOL on Monday due to the holiday. Wednesday, February 13th: Parents are invited for conferences tonight from 3:30 pm to 6:30 pm. Parents of 8th graders are asked to attend the Preparing for High School meeting at 5:30 p.m. in the Multi-Purpose Room with the guidance counselor tonight as well. Pep Band members should report to the band room by 6:15 p.m. tonight for BBB vs. Harding County. There will be NO JV GBB practice tonight, February 12. 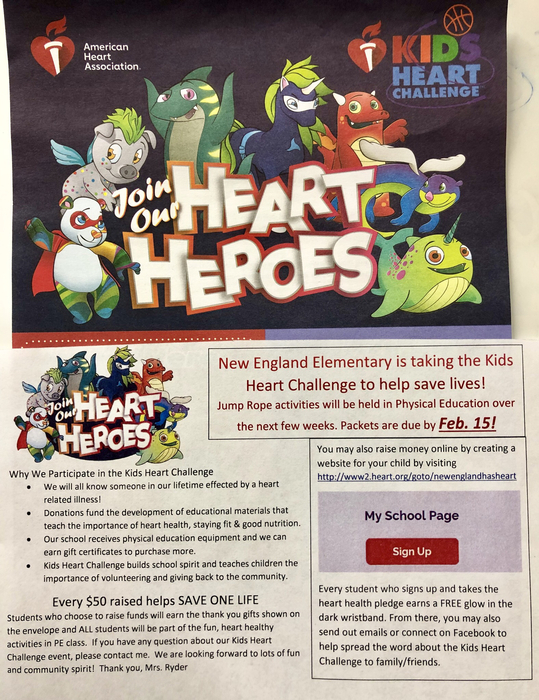 The fundraising packets for the Kid Heart Challenge (Jump Rope for Heart) are due Friday, February 15th. Audio recording of the Understanding your Pets play will take place PROMPTLY at 7 am Monday, February 11 in the Computer room. It is IMPERATIVE that all cast members are ready to go at 7 am. Please come early. The New England Booster Club Raffle Winner for February 8th is Ace Anderson - Clarksville, TN - $100.00!! Congratulations, Ace!! Pep Band WILL play at the Girls Basketball game vs Trinity tomorrow (Sat. Feb. 9th). Musicians be at school by 2:15!! The Sweetheart/Snow-Ball Dance for tomorrow (Sat. Feb 9th) has been POSTPONED due to the cold weather! Watch for rescheduled date soon!! 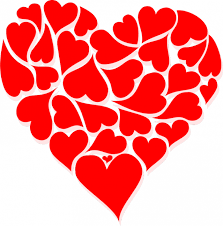 The New England Booster Club will be taking Valentine orders until Friday, February 8th. There is still time to order something special for that someone special. 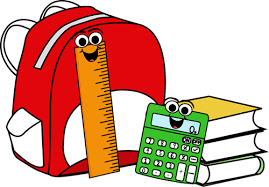 Parent-Teacher Conferences will be tomorrow, February 6, and next Wednesday, February 13, from 3:30 p.m. to 6:30 p.m.
New England Public School is going to start two hours late tomorrow, Monday, February 4th. New England Booster Club Raffle Winner for February 1st is Gavin FItterer - Fargo - $100! Congrats, Gavin!!! An After-Prom Party Meeting will be held tonight (Friday, February 1st) in the Home Ec Room between the BBB JV and Varsity games. If this time does not work for you, please stop by after the Varsity game. See you tonight! 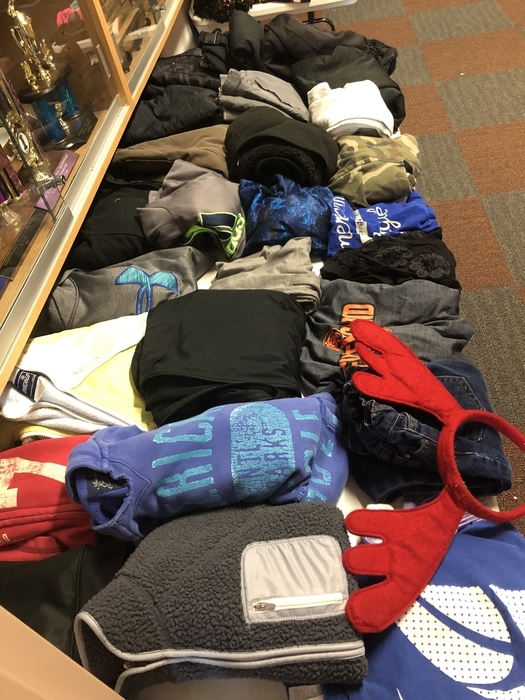 We already have a table full of items for lost and found again! Please check soon! The After-Prom Party Committee meeting is at 5:00 p.m. tonight in the Home Ec Room. All are invited! 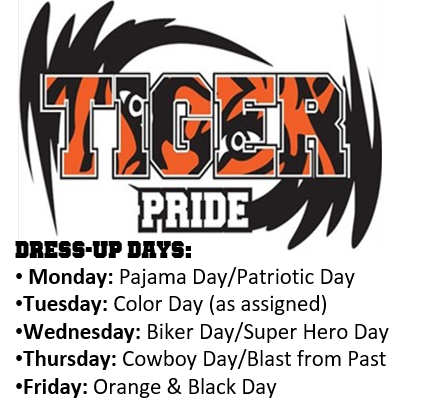 This evening, January 28, the Booster Club will be on hand to sell their Tiger Wear and also to take orders for balloons for their Valentines Day fundraiser. It is Parents Night for GBB tonight. Parents will be announced between the A and B games. Please be present between 6:15 and 6:30. Drills and Skills will also be performing at the half-times of the A & B games. Pre-K through 1st graders should be here by 5:30. Second and third graders should be here by 6:30 p.m. There will be no BBB C-Team tournament on January 31 or February 2. The boys basketball team will play a "C" squad game on Tuesday, January 29th starting at 4:00 PM. The girls basketball team will play a "C" squad game on Monday, January 28th starting at 4:00 PM. New England Booster Club Raffle Winner for January 25th is Shari Wolf - New England - $100!! Way to go, Shari!! Hazen’s National Honor Society is participating in Alzheimer’s Awareness Week, and Friday’s boys’ basketball game has been designated as purple night. All fans are encouraged to wear purple to show their support. Route 6 had bus trouble this morning, Friday, January 25th. The bus will be running late. NEEDED: Parents and volunteers for the After-Prom Party A meeting will be held on January 28, 2019 at 5:00 pm in the Home Ec Room. If you are unable to attend this meeting, the same agenda will be discussed on February 1, 2019 between the Boys Basketball Jr. Varsity and Varsity games. Please join us as we plan our 2019 After-Prom Party! The boys C squad will be playing tonight, Tuesday, January 22nd at 4:00 PM against Hettinger Scranton. Mathcounts chapter test at 7 am SHARP on Tuesday morning (1-22-19). All Mathaletes must take the chapter test. Bring a pencil and calculator. On Monday, January 21, the pep band should be at school by 6:00 p.m. and the choir should be present by 6:45 p.m. There is NO SCHOOL tomorrow in observance of Martin Luther King, Jr. Day, Monday, January 21. New England Booster Club Raffle Winner for January 18th is Ervin Binstock - New England - $100.00!! Congratulations, Erv!! 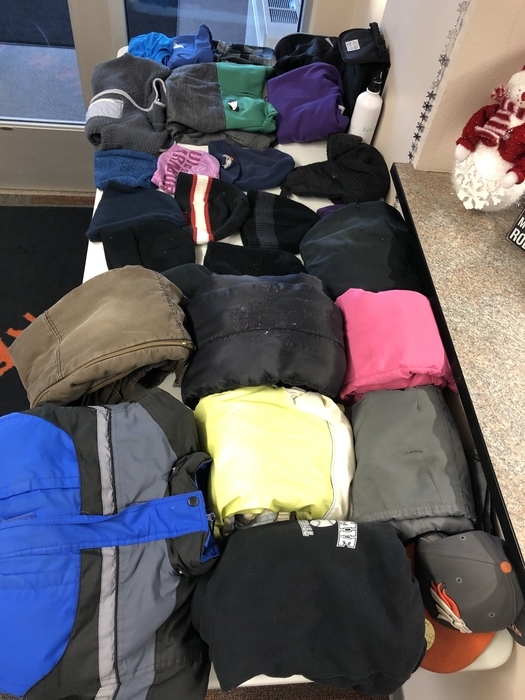 Please stop at lost and found. There are three tables of items that will be shipped away at the end of next week. The weather is turning colder! 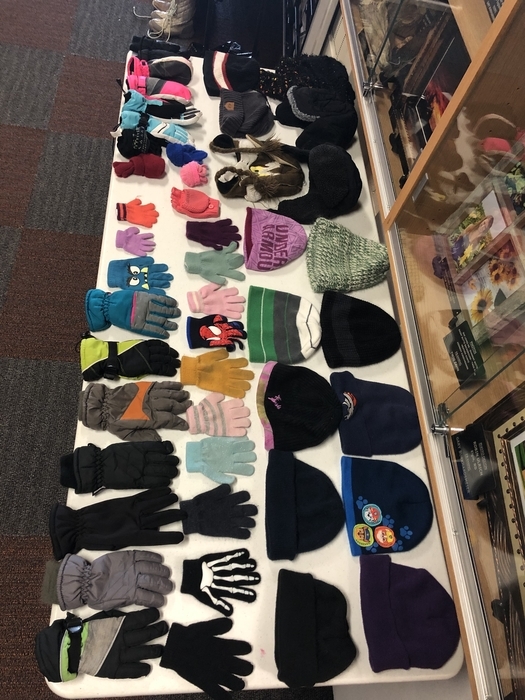 Please be sure your child comes to school with winter-appropriate outer wear. Thank you!! Jan. 16–There will be NO Kit Katz practice after school. TIME CHANGE: Pep band students should be at school by 5:50 p.m. and choir should be here at 6:20 p.m. tonight, January 15, for the game. New England Booster Club Raffle Winner for January 11th is Hedy Bohlman - New England - $100.00!!! Yea for Hedy!! New England Booster Club Raffle Winner for January 4th is Rachel Taylor - Lancaster SC - $100.00!! Way to go Rachel from down south!! New England Booster Club Raffle Winner for December 28th is Bea Grundhauser - Lefor - $100!! Congratulations Bea!! There will be a C game on Monday, January 14 for the GBB team playing in Beach. The C game will begin at 4:00 p.m. followed by the B and A games. The bus leaves at 1:45 p.m. Good luck girls! Our in town bus route is starting pick ups today, Monday, January 7th. 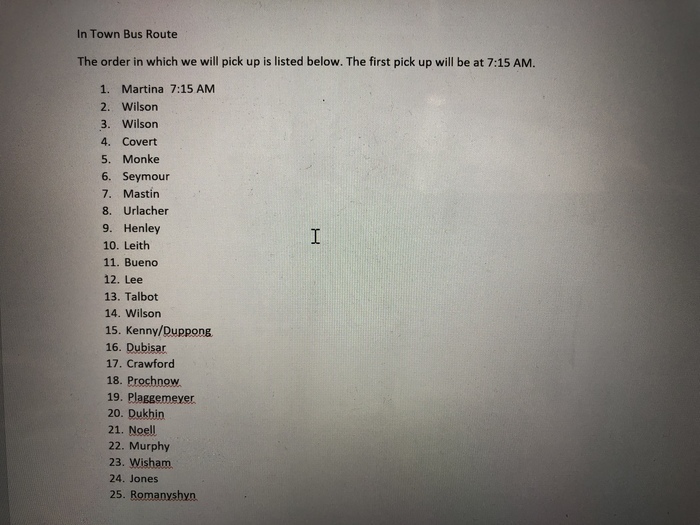 Our first pick up will be 7:15 AM. Please have your students ready for the bus. There will only be ONE game tonight, January 7, at 5:30 pm for BBB 7&8. Richardton-Taylor only has an 8th Grade team. 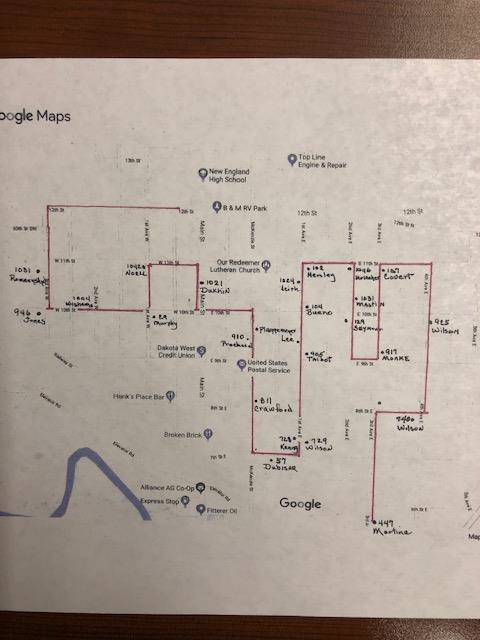 Attached is the route for our in-town bus route. Below is our in-town bus route list. Our first pick up will be at 7:15 AM. New England Public School will be starting our in-town route on Monday, January 7th. A map with approximate times will be on our website for your review shortly. There will be an informational meeting regarding Girl Scouts for parents of girls in grades kindergarten through five at the school tomorrow, January 4, from 5:00 pm to 6:00 pm. There will be Drills and Skills today, Saturday December 22, from 9:00 am to 10:00 am. There will be no session next Saturday. New England Booster Club Raffle Winner for December 21st is Vivian Kilwein - New England - $100.00!! What a nice Merry Christmas surprise! Congratulations Vivian!! 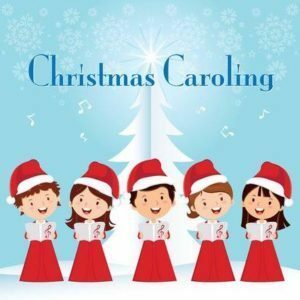 Students who are going to Dickinson Christmas Caroling on Friday, Dec 21st with Mrs. Witte must bring $9.50 for lunch on or before WEDNESDAY, DECEMBER 19th and bring extra money along on the trip if they wish to buy ice cream before coming home. The girls in 7th and 8th grade basketball need to bring in their jerseys tomorrow, December 17, to turn them in during RTI. New England Booster Club Raffle Winner for December 14th is Katie Anderson - Pasadena, MD - $100.00!! Congratulations, Katie!! 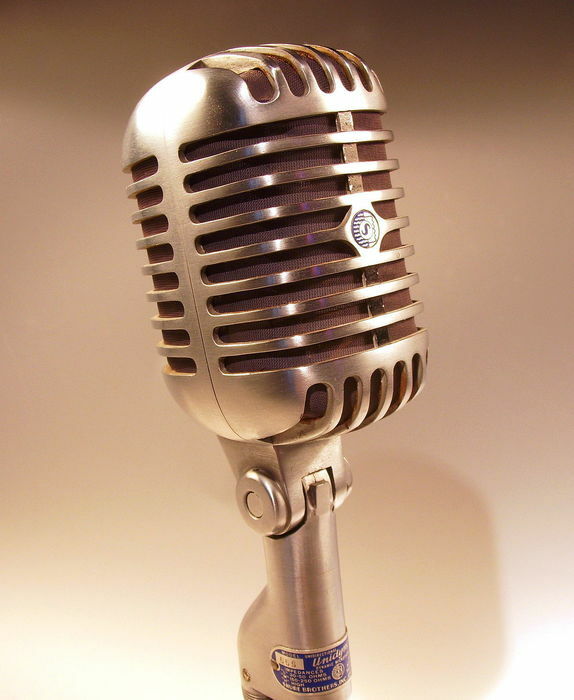 For this evening’s concert, students in 7-12 band and choir should report to the music room by 6:00 pm. Students in Band 5&6 should be at school by 6:00 pm. All students in Kindergarten through 4th grade should be in their classrooms at 6:15 at the earliest. See you tonight! GAME CHANGE: The junior high GBB team will play in HETTINGER tomorrow at 4:00 p.m. The bus will leave at 2:30. New England Booster Club Raffle Winner for December 7th is Kristen Stecher - New England - $100!! Way to go, Kristen!! The varsity GBB will be leaving at 1:00 p.m. to play in their second game of the Roughrider Tourney. The game begins at 3:00 p.m. Join us for some wrestling tomorrow in our gym beginning at 4:30 p.m. Your activity passes will get you in for free. Otherwise adult tickets are $6 and student tickets are $4. The junior high boys and girls will leave at 1:30 p.m. to play basketball in Bowman. Games begin at 3:15 p.m. The junior high girls and boys basketball games on Thursday, December 6 in Bowman will begin at 3:15. They will be playing simultaneously at the Rouzie Rec Center (boys) and at the high school (girls). The team will leave at 1:30 pm on that day. Also on Thursday, our school will be hosting a wrestling duo beginning at 4:30 with JV and 6:00 for varsity. Come check it out! Ticket prices will be $6.00 for adults and $4.00 for students. Please remember your sports uniforms and order forms for tomorrow!!! Monday, December 3 is SPORTS PICTURE DAY. Just a reminder regarding the junior high basketball games on Monday, December 3: The boys play in Reeder at 4:00 pm and the girls play here at 5:30. The junior high boys’ game is a make-up game that was postponed due to the weather. Due to the weather, we will postpone Board Game Night for the students in Grade 7-12 that was scheduled to follow tonight’s game on November 30. 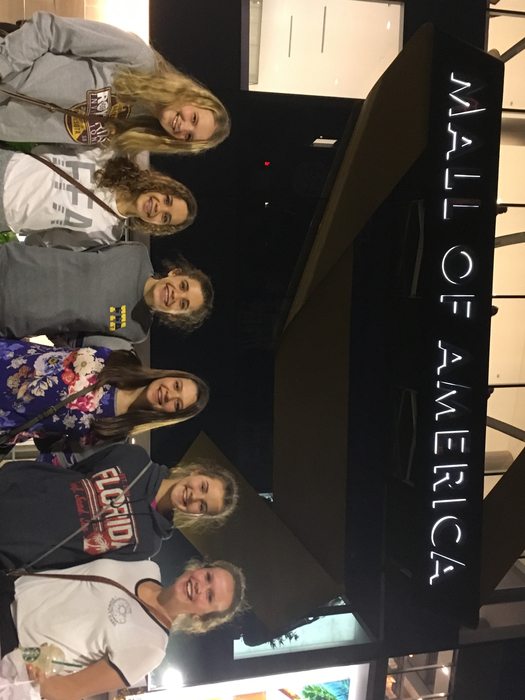 New England Booster Club Raffle Winner for November 30th is Mike Kosloski - Moose Lake, MN - $100!! Congratulations, Mike!! 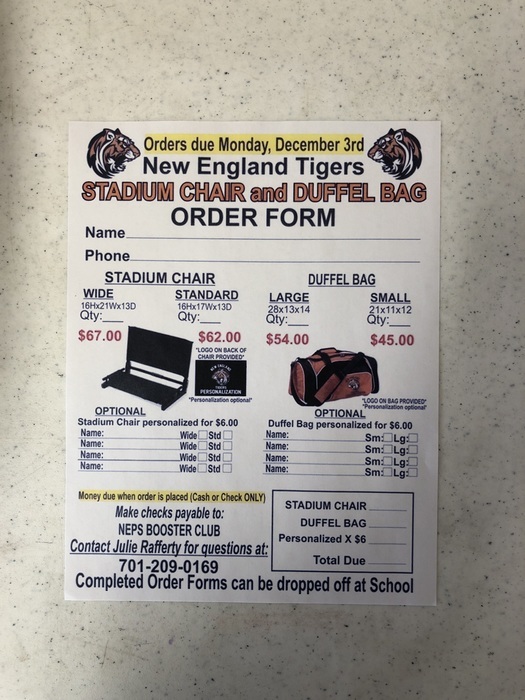 New England Booster Club orders are due Monday, December 3rd. The Boy Scouts meeting today, Friday, November 30th will start after school at the Memorial Hall. 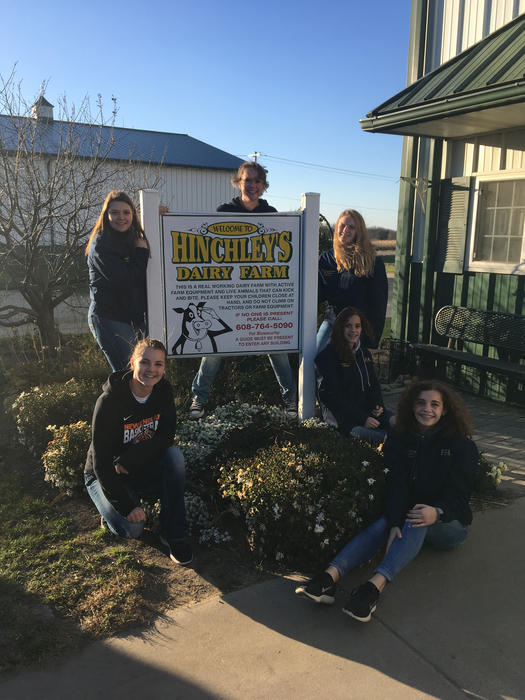 The bus will leave for the 8th grade Ag Day in Belfield tomorrow at 7:30 AM. Remember to pack a lunch for tomorrow. If you play basketball, bring your gear, the bus will drop you off in South Heart for the game. This is the last call to see if you/your child would be interested in signing up for the in-town bus route we are planning on starting in December. If you are interested, please contact Julie Opdahl at 579-4160. 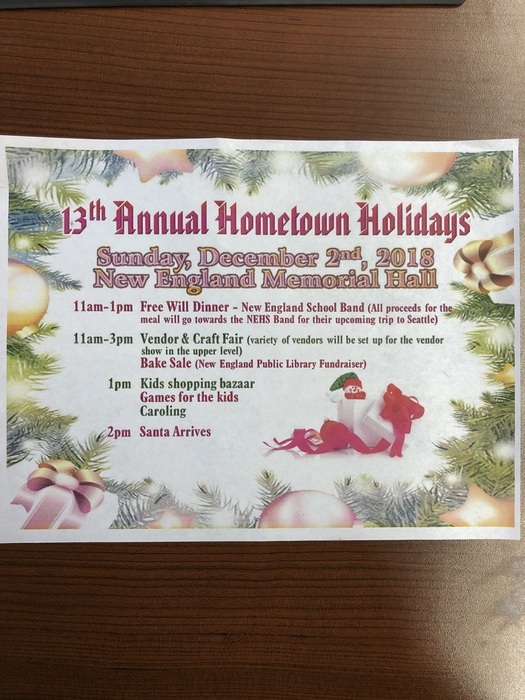 Everyone is invited to attend the 13th Annual Hometown Holidays on Sunday, December 2nd at the New England Memorial Hall. Festivities start at 11:00 AM. New England Booster Club Raffle Winner - November 23rd - Ethan Opdahl - Reno, NV - $100!!! Congrats, Tiger Alum - - Class of '98!! There has been a change for the junior high games on Friday. Both girls and boys will be playing in South Heart. The games will begin at 4 pm. The girls will play in the main gym, and the boys will play in the elementary gym. Junior high GBB will practice from 4:30 pm to 6:00 pm on Sunday night at the high school gym. Please contact Coach Binstock or Coach Hanson with any questions or concerns. 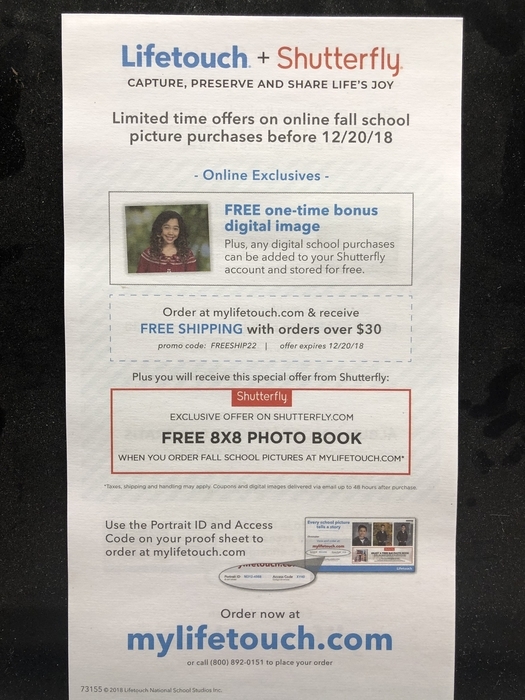 Limited time online offers on online fall school picture purchases before 12/20/18–please see the attached flyer. Juniors and seniors need to turn in their Josten’s orders to Julie tomorrow, November 20. Call Julie if you have questions. Winter Sports Pictures - Tuesday, November 27th - will be taking: GBB - A-B-C & 7-8, BBB - A-B-C & 7-8 & 4-5-6. Forms are in the office!! The grade school basketball tournament today, Saturday, November 17 has been cancelled. The basketball jamboree for the fifth and sixth grade boys for today, Saturday, November 17, has been cancelled. Uniforms will be collected Monday. Please have them washed and ready to turn in after school. Buses will be dismissed early today, Friday, November 16th due to the icy conditions that we will be experiencing. Buses will run at 2:55 PM from New England Public School. There will be no basketball games tonight. The games have been rescheduled. On December 1, the seventh and eighth girls’ basketball team will play at New England at noon against Hettinger-Scranton. On Monday, December 3, the seventh and eighth boys’ basketball team will play at Reeder at 4 PM. Today is join me for a lunch day for parents. Parents are invited to join their children at lunch as our guests. The kindergarten class eats at 10:45 AM. The second graders eat at 10:50 AM.The first graders eat at 11:20 AM. The preschoolers eat at 11:25 AM. The third graders eat at 11:40 AM. The fourth, fifth, and sixth graders eat at 12:15 PM. All times are approximate. The fourth, fifth, and sixth grade basketball game scheduled for tomorrow, Thursday, November 15th will start at 4:00 in New England. The junior high girls and junior boys basketball games on Friday, November 16th will start at 4:00 PM. The girls play at home and the boys play at Reeder. The New England Public Booster Club will be meeting at 7:00 PM on Wednesday, November 14th at the Memorial Hall. Anyone is welcome to attend. Grades 7-11 Band Tour Little Caesar’s Pizza Orders must be turned in Thursday, November 15th. The fifth grade boys basketball game at Dickinson today, Tuesday, November 13th has been changed to start at 6:15 PM. There will be a mandatory boys’ basketball meeting Monday, November 19, at 6:00 pm in the Multi-Purpose room for all parents of boys in grades 9-12 who plan to play this season. Reminders for tomorrow morning, November 13: College Tour students need to be at school no later than 6:15 a.m. MathCounts is at 7:00 a.m. Picture Retake Day is Wednesday. New England Booster Club Raffle Winner - November 9th - Amy Rayhorn - New England - $100!! Congratulations Amy!! Gr. 9-12 GBB practice begins on Monday, November 12 at 10 a.m.
New England Public School would like to know if you/your child would be interested in riding the bus if we started an in-town route. If you are interested, please contact Julie Opdahl at 579-4160. Gr. 4-6 boys basketball will have practice Thursday after school at St. Mary’s. Reminder to senior parents: Stop in for help today after school until 6:30 pm with FAFSA! There has been a time change for the junior high GBB game on Thursday, November 8. The girls will play Bowman at our gym beginning at 3:00 p.m. tomorrow. For those students who plan on attending the College Tour field trip your permission slips are due to Mrs. Reisenauer tomorrow, Wednesday, November 7. Junior high GBB and junior high BBB practice will be at DWCRC today, November 6. On Tuesday, November 6th community residents will have an opportunity to vote on the New England Public School District proposed bond referendum. Voting will take place at New England Public School from 9:00 AM until 7:00 PM. MathCounts Reminder: 7 am every Tuesday Morning! Junior high boys will have basketball practice immediately after school in our gym. Junior high girls will have basketball practice at 4 p.m. at the DWCRC today. There is no 4th grade boys’ basketball game tonight. Only fifth and sixth graders will be attending the game this evening. The bus will still leave at 2:30 today, and the game is still in Taylor at 4:00 p.m.
Let’s wear ORANGE and BLACK tomorrow in support of our volleyball girls who will be playing in Regionals at 2 p.m. at Trinity. If you intend to have your student leave early for the game, please send a note with him or her tomorrow. Please indicate the method of transportation by which he or she will get to the game and the time of dismissal. Thank you! New England Booster Club Raffle Winner - November 2nd - Ace Fischer - New England - $100!! Way to go, Ace!! On November 6th, New England Public School will hold a bond election for a General Obligation of approximately $5.6 million dollars. In order to pass this bond, the school needs 60% of the voters in favor of this obligation. The purpose for which the bonds are to be issued is to provide funds, together with any other funds available, to construct, remodel, improve and equip the current school buildings to include additions for classrooms, cafeteria, physical education, music, public fitness facility, and to make site improvements to school property. As I have mentioned on numerous occasions, our school has reached its capacity. Our student enrollment has more than doubled over the past nine years bringing our total student enrollment to 299 students in grades Pre-kindergarten through 12th grade in 2018. Increased enrollment brings both opportunities and some challenges. To accommodate students, the district has had to utilize every classroom and every possible space we have available. Spaces that were not designed for instruction, such as storage closets, hallways, and the cafeteria, are regularly used for teaching and learning in an effort to meet current needs. Senate Bill No. 2178 authorized the Bank of North Dakota to provide up to $250 million for school construction loans to eligible school districts. 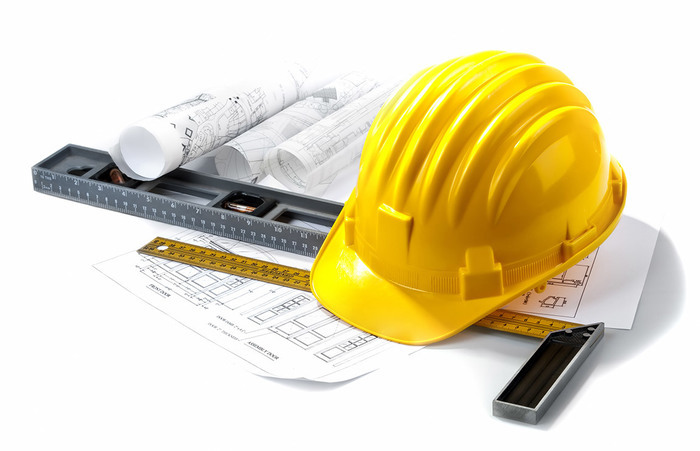 Eligibility for school districts includes the following criteria: •	New construction or remodeling projects with a cost of at least $1 million and an expected utilization of at least 30 years; •	Project approval by the Superintendent of Public Instruction; and •	Bond authorization. The loan awards are subject to the advice and consent of the Superintendent of Public Instruction with priority given to student capacity, academic needs, safety and security, project costs, and other criteria established in rule by the Superintendent of Public Instruction. An eligible school district is limited to $20 million of loans from this program, we are looking at $5.6 million. The loans are for a 20-year term unless the school district requests a shorter term. The interest rates on the loans will not exceed 2 percent. If we don’t utilize the School Construction Loan Program, we will have to look at Lease Revenue Bonds we will be servicing a bond rate of around 4% to 4.5%. Just the difference in interest rates would add an additional $50,000 to $60,000 per year in debt service to this proposed project. As a school, we must publish this notice of general obligation in our local paper. The state defines how we publish this notice. In the Herald, the notice will read, “If approved, the bond issue will result in an estimated additional millage of 25.98 mills, equal to $25.98 on each $1,000 of taxable valuation for the first taxable year.” With some additional revenue sources, the school has access to, we will not need the advertised 26 mills to see this project through. With the additional revenue, from other sources, I estimate the additional mills to be around 8-9 mills. The tax impact, at 8 or 9 mills, on a house appraised at $100,000 would be an additional $36 per year. 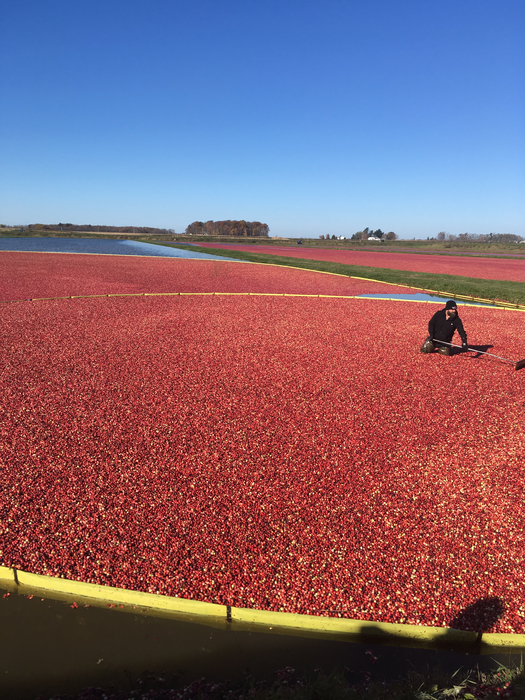 The tax impact on the average acre of land would amount to about $.22 per acre per year. The tax impact on commercial property appraised at $50,000 would be an additional $20 per year. We need to address the needs we have in our district. A “yes” vote would allow us to utilize The School Construction Loan money saving the district between $50,000 to $60,000 a year. This project would also set New England Public School up for the next generation of students in our community. See you at the polls on November 6th! Thursday, 11/1 ....Today’s 4-5-6 boys’ basketball game has been moved to Belfield. We apologize for the inconvenience! Just a reminder, New England Public School will be hosting a public forum to discuss the proposed building project Thursday, November 1st starting at 6:30 PM in the gymnasium. Boys fourth, fifth, and sixth grade basketball practice has been cancelled for tonight, Wednesday, October 31st. New England Booster Club Raffle Winner - October 26th - $100 - Branigan Robinson - Dickinson!! Congrats, Branigan!!! Just a friendly reminder that we have Mathcounts every Tuesday at 7:00 am. See you tomorrow morning! 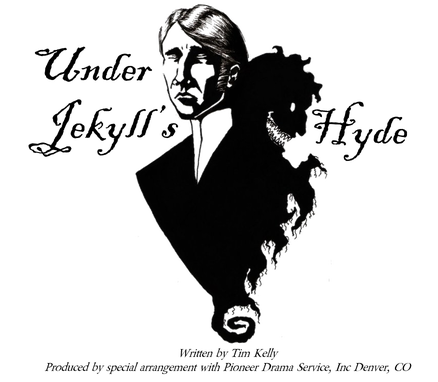 The community performance of "Under Jekyll's Hyde" for our One-Act Play Competition will be Saturday, Nov. 3rd at 2 pm at the Memorial Hall in New England. All are welcome, admission is free. The bus will leave Saturday for the Gr. 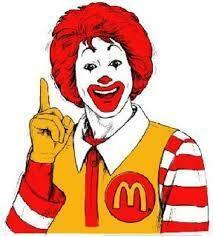 5 & 6 boys’ basketball tourneys at 7:45 a.m.
Ronald McDonald Dental Mobile will be at NEPS Nov 5th - 9th, providing FREE dental services, for students age 0 -21. Info & forms were mailed to all families in school. Questions or need forms, contact Julie/office # 579-4160. This generous service provided by Slope Electric. 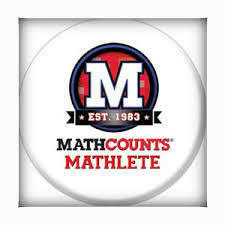 Just a reminder that we are starting MathCounts on Tuesday, October 23rd at 7 am in the Computer room for the students that signed up. New England Booster Club Raffle Winner - October 19th - Gerald & Mary Jahner - Mott - $100 - Yipee, you Two!! 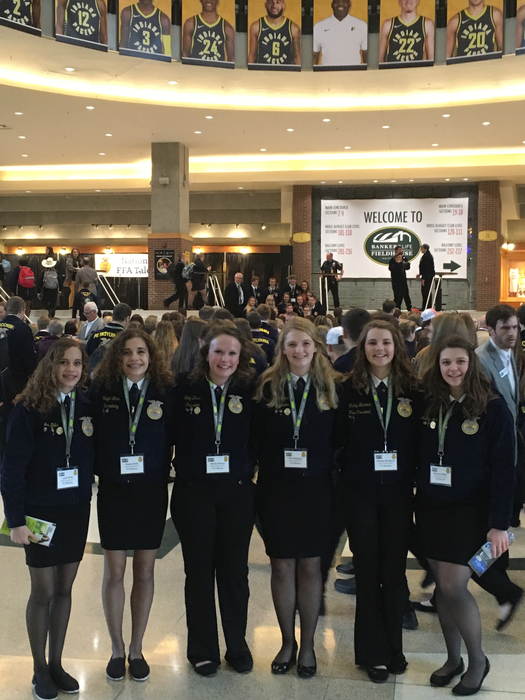 Day 1 of travel to national FFA convention. Please check back daily for updates. Just a reminder, New England Public School will be hosting a public forum to discuss the proposed building project tonight, Wednesday, October 17th starting at 6:30 PM in the gymnasium. The 5th & 6th grade boys' basketball game for Tuesday, October 16th has been CANCELED. New England Booster Club Raffle Winner - October 12th - Reid & Jessica Sorenson - New England - $100 - Congrats, to the lucky couple!!! On Monday, October 15th, the 4th grade game at Scranton has been cancelled. The 5th grade game will start at 4:00 PM. Just a reminder, New England Public School will be dismissing early today, Friday, October 12th. Buses will be running at 12:15 PM. Just a reminder, on Friday, October 12th, New England Public School will be dismissing early for our ALICE training. An email was sent out earlier explaining this training and the need for it. Buses will be running at 12:15 PM. MathCounts is very beneficial to Jr high students. It exposes them to higher level mathematical concepts and problem solving. It stretches their thinking and computational skills in an environment that also promotes positive social growth across three grade levels. Join Now! On Friday, October 12th, New England Public School will be dismissing early for our ALICE training. An email was sent out earlier explaining this training and the need for it. Buses will be running at 12:15 PM. 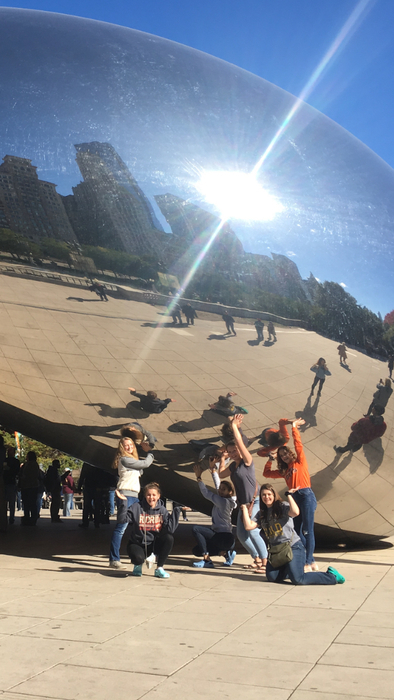 On October 10th at 6:00 p.m. in the music room, there will be a meeting for parents of students in grades 7-11 who are interested in attending the Band Tour 2020. The primary topic will be possible destinations. On Friday, October 12th New England Public School will be dismissing early for professional development. Buses will run at 12:15. Booster Club Raffle Winner - October 5th - Mary Urlacher - Regent - $100 - Congratulations, you Lucky Duck!! Fourth, fifth, and sixth grade boys basketball practice has been cancelled tonight, October 5, 2018. The Junior High volleyball game tonight, Thursday, October 4th is at the Dickinson Middle School. The address is 2675 21st Street West. Any football parents wishing to have pictures taken with their student/athlete need to be at the Mott football field at 4:30 PM on Friday, October 5th. All Senior mom's are meeting at 4:15 PM. The New England School Board invites the public to participate in a Public Input Forum tomorrow, Wednesday, October 3rd at 6:30 PM in the gymnasium. At this forum, the school board will share information regarding the school district’s measure on the November 6th ballot requesting to increase mills for a proposed building project. The public is encouraged to attend. On Wednesday, October 3 at 6:00 p.m. in the Home Ec. Room, there will be an informational meeting for parents of sophomores or juniors who are interested in the trip to Washington, D.C. Booster Club Raffle Winner - September 28th - Rachel Bock - $100 - Way to go, Rachel!! 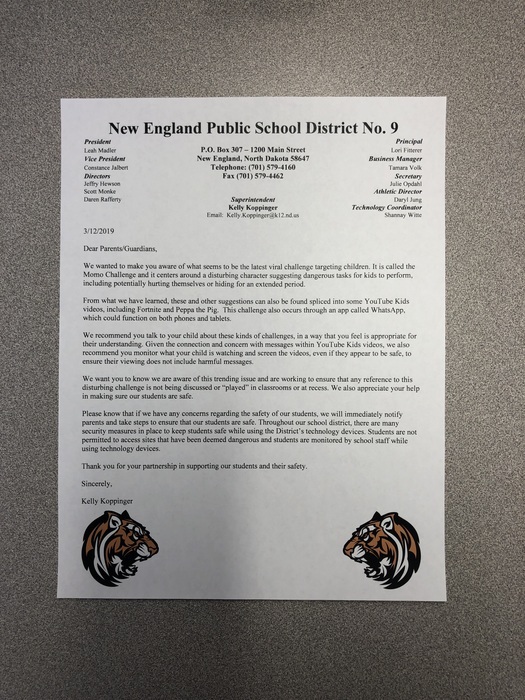 NOTICE OF PUBLIC INPUT MEETING The New England School Board invites the public to participate in a Public Input Forum on the following dates: Wednesday, October 3rd at 6:30 P.M., Wednesday, October 17th at 6:30 PM, or Thursday, November 1st at 6:30 PM in the gymnasium. At this forum, the school board will share information regarding the school district’s measure on the November 6th ballot requesting to increase mills for a proposed building project. The public is encouraged to attend. Grades 4, 5, & 6 Football Team made it to the playoffs and will be leaving Saturday, September 29 from school at 9:30 a.m. The game starts at 12:00 p.m. Go NE-M-R "Crispy Cats!" 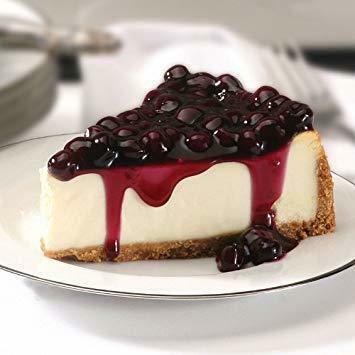 Band Tour students are selling cheesecake at the Lefor KC Steak and Shrimp dinner from 5-8 pm on Saturday, October 6th. Please support our students. The junior high football game scheduled for today, Monday, September 24th has been moved up to start at 4:00 PM because of the junior varsity game tonight. The junior varsity game will start immediately after the junior high game. Booster Club Raffle Winner - September 21st - Michelle Petri - $ 100 - Congratulations Michelle!! The pep bus will be leaving at 6:00 p.m. on Friday, September 21. There is still time to turn in the permission slip and the $2.00 for the bus ride. The dance costs $3.00. This is an INFORMAL dance. Dress warmly! It's going to be chilly at the game! Reminder: Friday, September 21st is JERSEY DAY. Support your favorite team! Students in fall sports will be recognized at the Pep Rally at 8:30 a.m.
NE Booster Club September 14th Raffle Winner - Jane Reisenauer - Hettinger - $100.00 - - Congratulations, Jane! If your student in grades 7-12 wishes to ride the pep bus to the Homecoming Game on Friday and stay for the dance, he or she needs a permission form signed by a parent by Friday morning. 5th graders are attending the Water Festival on Friday, 9/21 in Dickinson. They will be leaving at 8:25 and returning around 2:00 p.m. Their permission slips were supposed to be turned in today! PLEASE NOTE: The first day of 4-5-6 boys’ basketball practice will be TOMORROW, 9/20 and there will also be practice on Friday, 9/21. There will be 4-5-6 boys' basketball practice at Memorial Hall next Wednesday and Thursday--9/26 & 9/27. Tomorrow's 4-5-6 football game against Killdeer has been postponed until Tuesday September 25. There will be NO practice on Friday, September 21, but there WILL BE practice on Monday, September 24. Gr. 4-5-6 GBB will be playing at 4:30 p.m. on Thursday, September 20. This is an hour earlier than expected. The game is at New England, and the girls play Hettinger-Scranton. Parent/Teacher Conferences are on 9/19 and 9/26 from 3:30 to 6:30. Parents of students in grades kindergarten through third have appointments. Parents of students in grades 4-12 are drop-in basis. Parent/Teacher Conferences will be held on the next two Wednesdays, September 19th & September 26th, from 3:30 to 6:30. We hope to see you there! Just a reminder, the C squad volleyball game tonight, Tuesday, September 18th has been cancelled. The junior high football game will start at 4:00 PM today, Tuesday, September 18th due to the addition of the junior varsity game. The junior varsity game will start immediately after the junior high game. There is NO junior high volleyball practice today--Tuesday, 9/18/18. There WILL BE a JV football game following the junior high game tomorrow, September 18, in New England. The junior high game begins at 4:30 p.m. Trish Kaufman is looking for volunteers to help run concessions on Tuesday and for Thursday's 456 football game. Call 701-260-3472. The varsity football team will be playing in HETTINGER Friday, September 14 at 7 p.m. TOMORROW... Thursday, September 13th is Sports Picture Day: *Volleyball A-B-C-8-7 *Girls' Basketball 4-5-6 *Football 4-5-6 Please remember your uniforms tomorrow! Extra order forms are in the office. This is a reminder for all FRESHMEN...the bus MUST leave at 6:30 a.m. to be on time for the presentations in Bowman tomorrow, September 12th. Don't be late! Bring a jacket. Lunch is provided, but you may want to pack snacks. We will be back around 4:30 p.m. from the field trip. 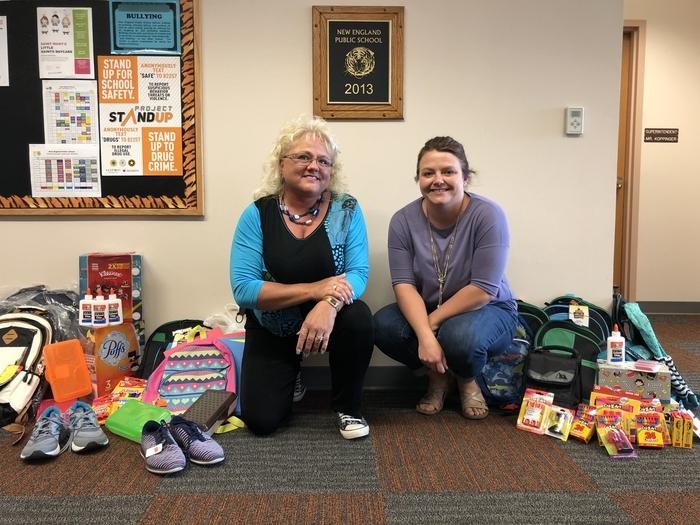 A great big THANK YOU to the employees of DWCRC who donated well over $1000 in school supplies, tennis shoes, and outerwear to our students! Your generosity is humbling and overwhelming! Come Test Drive a Ford Focus, Escape, Edge, Explorer, F-15O, or Super Duty this Saturday September 8th at the New England Public Schools parking lot from 9am-2pm and Ford will donate $2O Dollars for every Test Drive up to 3OO Vehicle. That's right the School could recieve $6,OOO Dollars. We will even wash your Car while taking your Test Drive. Thanks 4 your support and see you Saturday. The junior high football team will be leaving school on Saturday, September 8 at 7:00 a.m.
9/7/18 Update regarding junior high volleyball practice: 7th and 8th volleyball will practice immediately following school today at 3:15 until 4:30 p.m. at the DWCRC. Due to unforeseen circumstances, the junior high volleyball practice time has been changed to 4:30 p.m. for today (Friday, Sept. 7) only. We apologize for any inconvenience. 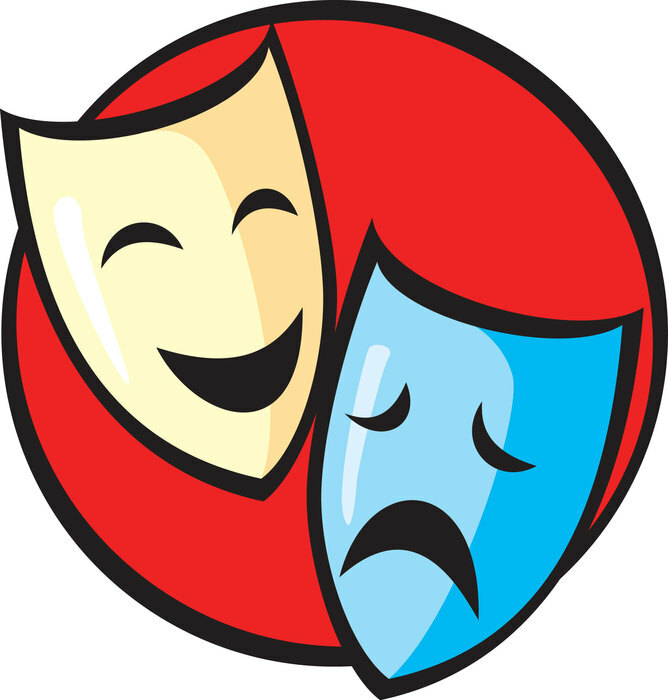 Any students in grades 7-12 who want to participate in drama for the fall one act play competition must see Mrs. Witte before Monday, September 10. Come Test Drive a Ford Vehicle this Saturday September 8th at the New England Public Schools parking lot from 9am-2pm and Ford will donate $2O Dollars for every Test Drive up to 3OO Vehicle. That's right the School could recieve $6,OOO Dollars. We will even wash your car while taking your Test Drive. Thanks for your support and see you Saturday, September 8th. The 4-5-6 girls' basketball game against Heart River will be played in South Heart tomorrow at 4:00 p.m. The game that was scheduled for Thursday against Hettinger/Scranton has been cancelled and will not be rescheduled. Just a reminder, New England Public School will be dismissing early for professional development. Buses will run at 12:15 PM. Just a reminder, on Monday, August 27th New England Public School will be dismissing early for professional development. Buses will run at 12:15. If you purchased an activity ticket, you may pick it up at the school office. If you plan on attending tomorrow night's varsity football game in Mott, you should stop in tomorrow to pick up your activity ticket. They are honored at the regular season home football games. PowerSchool App instructions for IOS Download, install and launch PowerSchool Mobile from the app store. Click on "Where is my District Code?" then choose "Enter Server Address" and type in new-england.ps.state.nd.us in the address box, then login. 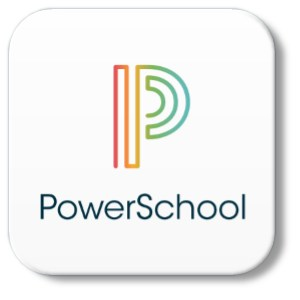 PowerSchool App instructions for Android Download, install and launch PowerSchool Mobile from the app store. Click on "Where is my District Code?" and "Search for District". Under the OR section type new-england.ps.state.nd.us in the PS Server Address box, then login. On Monday, August 27th, New England Public School will be dismissing early for professional development. Buses will run at 12:15 PM. No junior high football practice on Friday, August 24th. Parent-Teacher Conferences are an important opportunity where we can sit down and discuss your child’s progress in school. We have scheduled our Parent-Teacher Conferences for September 19th and September 26th from 3:30 PM until 6:30 PM. A new link has been added to the website for NFHS streaming. Click on Menu and find it under Resources. Starting Monday, August 20th, New England Public School will be serving breakfast. Guidelines for free and reduced breakfast are the same as our lunch program. The cost for breakfast is $1.60. Say, "Cheese!" Picture Day is Wednesday, August 22! The JV football game scheduled for Monday, August 20th versus Grant County has been cancelled. The junior high game is still scheduled to start at 4:30. 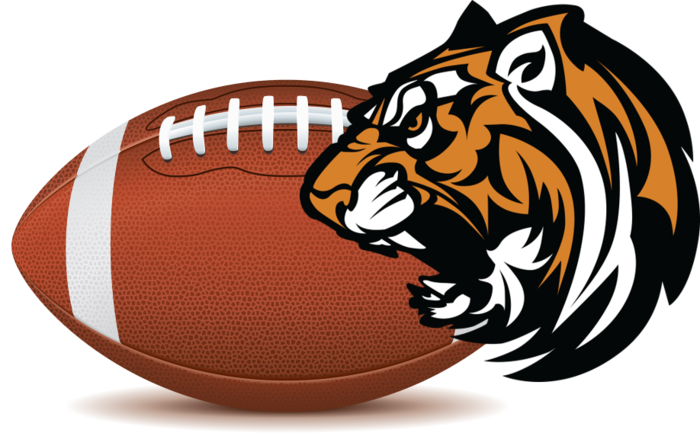 The varsity football game on Friday, August 17th at Tioga has been changed to a 6:00 PM Mountain Standard Time start time. The awesome NEPS app is ready for download!! If you have an Apple device, it requires IOS 10.3 or higher. 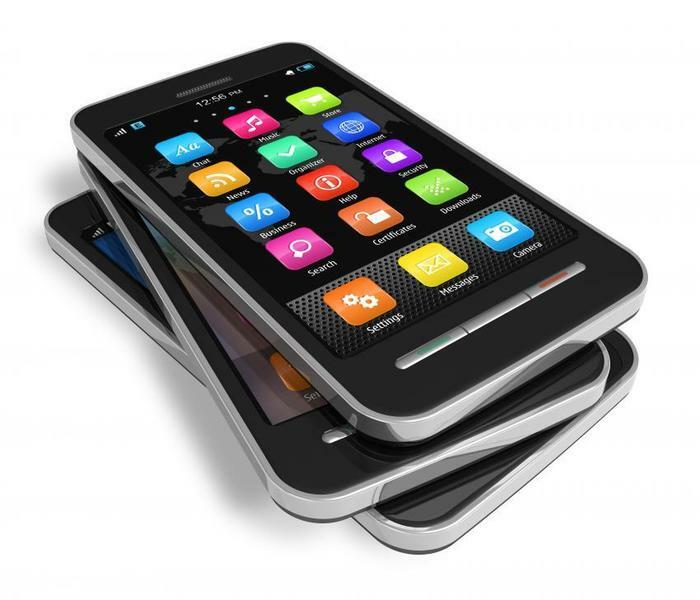 If you have an Android device, you must have 4.1 or higher. If you don't meet those requirements, it will not show up when you search the store. 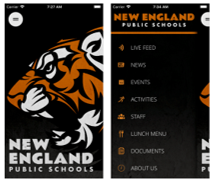 The New England Public School MOBILE APP is now available in the Apple App store and the Google Play store. Search for 'New England Public School' to get direct access to all of our district information right on your mobile device! Monday, August 20th will be the 5th Grade Band Instrument Rental Night with Jacobsen Music for beginner band students. Jacobsen Music will be here from 3:30-6 that evening to do a rent to buy program for your child's instrument, purchase books and portable music stands. If your 5th grade child does not have an instrument, a band book or a music stand to practice on at home then I will see you Monday night! Tonight, Tuesday 8/14, there will be a 2nd Grade Meet and Greet & Move-in! You may stop in between 4 and 6 pm with your child and help him/her unpack and feel ready for the first day of school. Bring all your new school supplies! Junior High Volleyball will start on Monday, August 20th at 4:00 PM. Volleyball practice Monday August 13th from 9:30am to noon and 1:30 to 3:30 for all girls in grades 9 through 12. Photo credit for the cover picture of the front of the school on our Facebook page and in the scrolling images on the webpage goes to Shellee Hanson. Thanks Shellee! Football Practice Schedule for the week of August 6th. All Practices will be in Mott during pre-season. Bus will leave New England at 3:30 PM. Practice will be 5:00 PM to 7:30 PM. There is a Football Parent Meeting scheduled for Sunday, August 5th at the Enchanted Castle in Regent at 6:00 PM for all parents and students in grades 7-12. To encourage students to develop high standards in communication skills through reading, speaking, listening, and writing. The mission of the New England Public School District is to provide an equal opportunity for each individual to obtain a quality education enabling him or her to reach his or her highest level of intellectual, social, emotional, and physical growth. New England Public School sits at the north end of Main Street in the predominately agricultural community of New England in the southwestern corner of North Dakota.